Haven't done a review for you guys in a while, and I've been meaning to post this review for a while too. You've probably noticed I've been wearing this lipstick a lot, it's probably not the best lipstick I own but the colour is just so perfect that I can put up with having to re apply it for the colour. 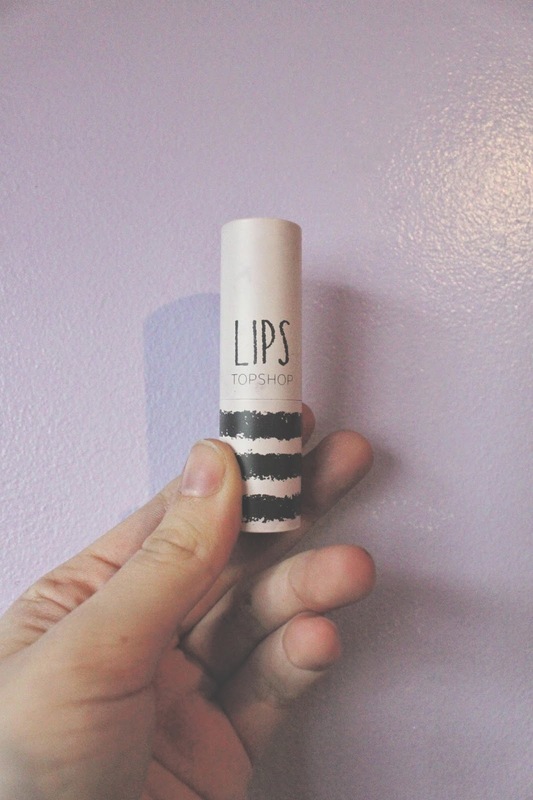 So first of all can I saw I love Topshop's lipstick packaging, it's such a nice pattern and a really nice texture too. I know that's not what most people look for when looking for a lipstick but for me it's worth a mention. Ahh it's just such a perfect colour. I think Mac has a similar one but I didn't want to spend £15 on a lipstick with a colour I didn't think I'd like when I could try out a topshop one for £8. 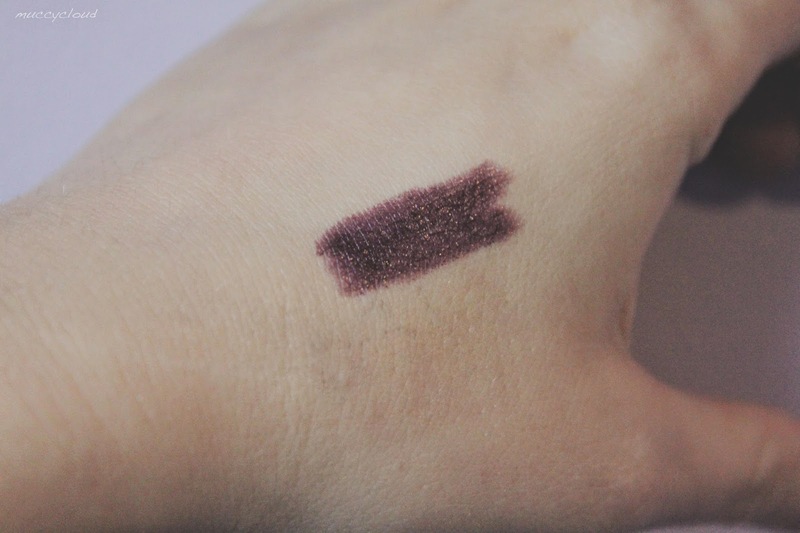 I think I'll upgrade to Mac soon though because I wear this colour so much and I am willing to pay £15. Colour 5/5: This colour is AMAZING. 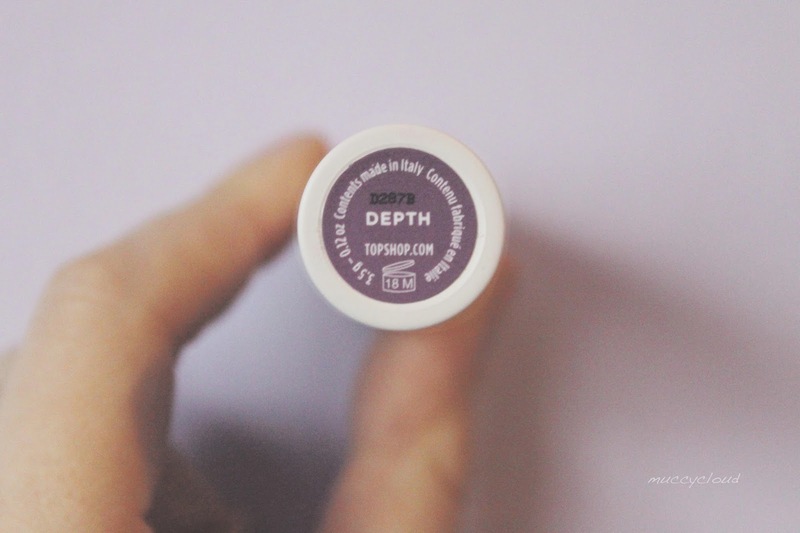 I know purple lipstick isn't for everyone but if you're looking for a goth purple kind of lippy then this is definitely a colour to look for. I just love it so much. Aplication 4/5: It's a really nice texture, it doesn't really smell of anything, which is good for me (I sometimes can't buy lipsticks because they smell too bad) and feels good when first applied. Value for Money 3.5/5: I think for £8 I excpect it to be a bit better quality, I mean it's not awful value for money but for me this is more of a £5 or £6 lipstick rather than £8. Stay Power 2.5/5: It lasts alright, it's just when it starts to come off (and I don't know if it's just this colour) it comes off in parts and what I'm left with is horrible splodges that actually look kind of brown. It makes me look like I've got scabs on my lips when it starts to come off which isn't brilliant. Overall 3/5: I love the colour and as I said, I do wear this colour a lot because of that. However, I like a lipstick to last and, I like lipsticks that leave a stain rather than splodges when they do start to come off. It's not like an awful lipstick but like I said, I'm going to upgrade to Mac for this colour (probably Cyber or Smoked Purple). But it's good if you want an occasional wear lipstick that''s not too expensive. Like for a party or something. I kind of apologise for the selfies. 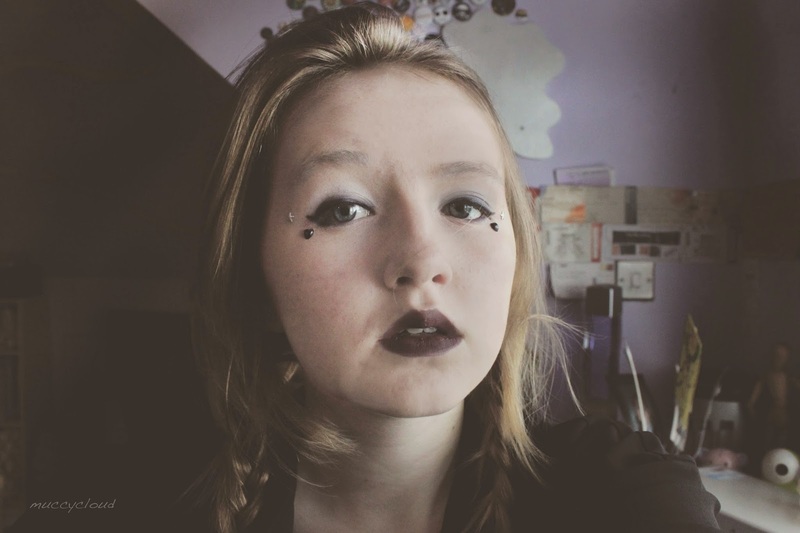 It does accurately depict the lip colour but I look sooo weird. 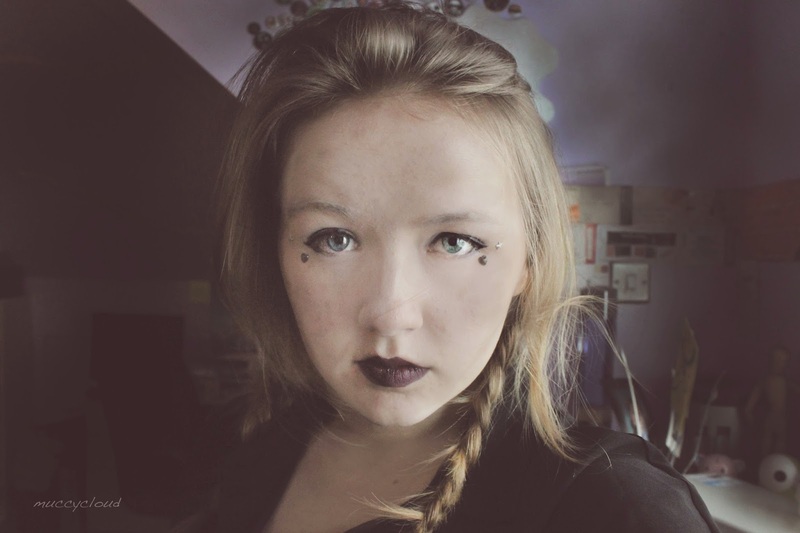 I remember trying something different editing these (it was a little while ago) and it didn't really work... So no I don't usually look like this, yes they are quite heavily edited. I'll try something different again next time. I quite like the second picture, it's just the first one. I do hope this review is helpful. I should have an outfit post tomorrow with a bit of a twist (stay tuned to see what the twist is). Would you guys want me to reviews on other products? Like Nail varnishes and eyeliners etc.? I'm not really a beauty blogger but I do enjoy reviewing the odd product, something that's a bit different. Lemme know what you guys think, I might do Barry M's new Matte nail varnish next. 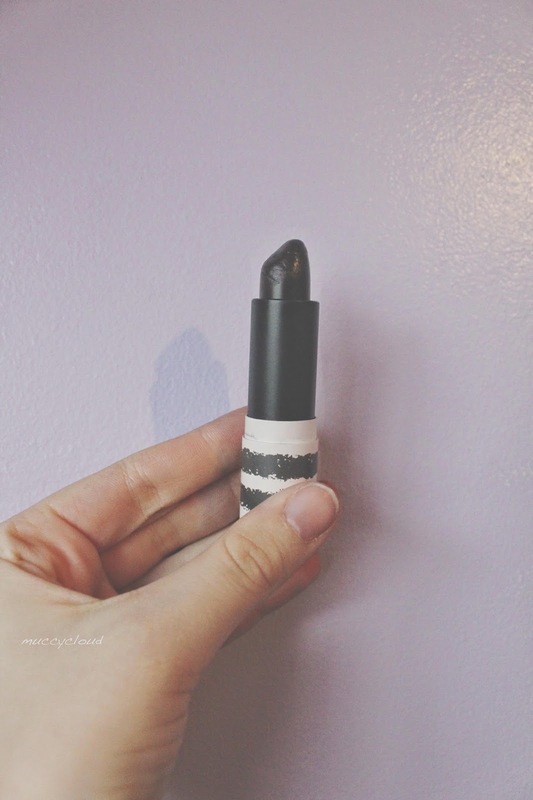 I need this lipstick - the colour is perfect! Your review is really good, you should do more of these for sure! I'm your new follower, check out my blog if you have time. What an intense colour! Love the way you're rocking it!